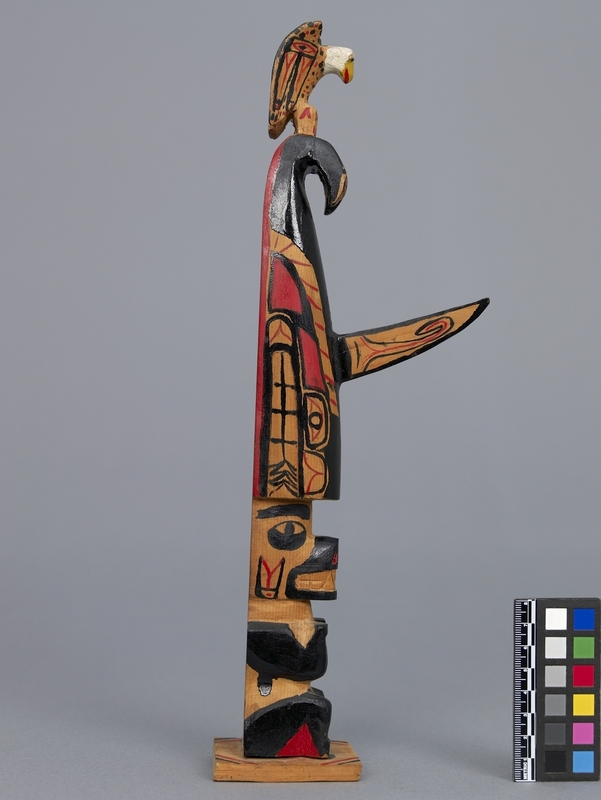 Item number 2791/7 from the MOA: University of British Columbia. 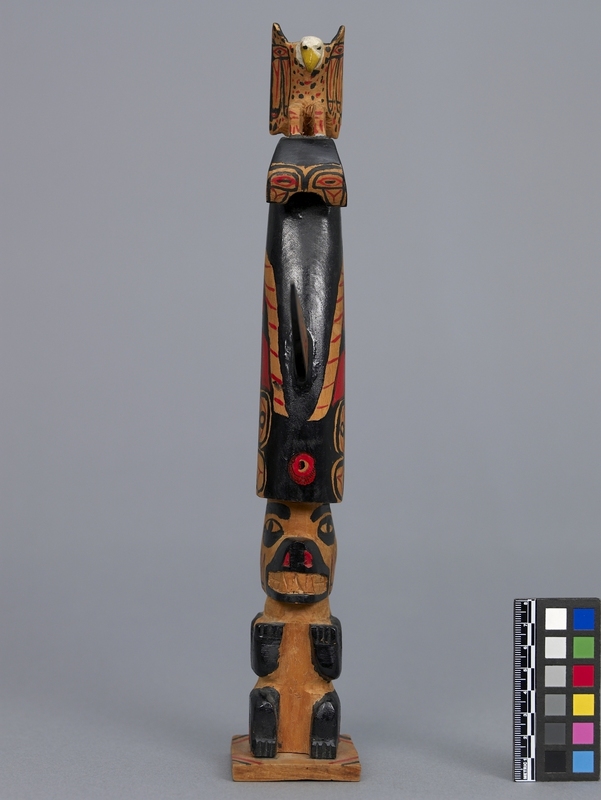 Carved and painted model totem pole nailed onto square base. 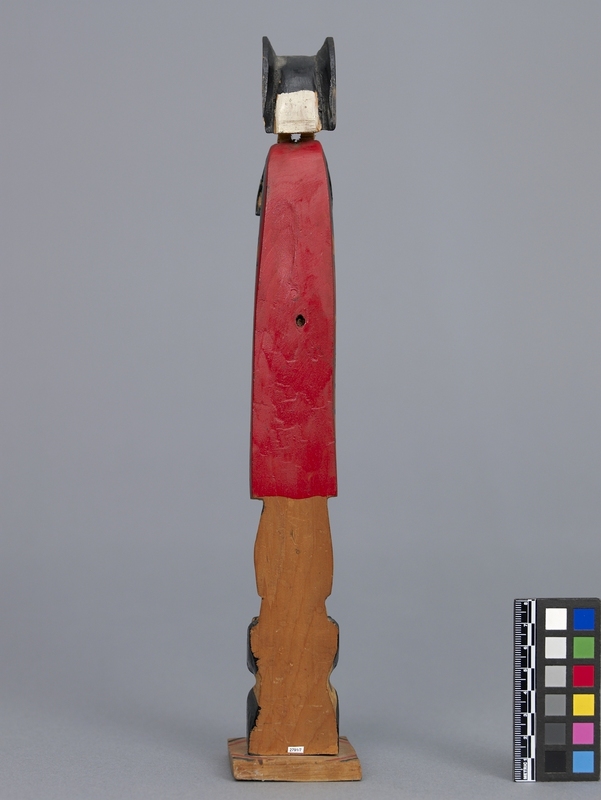 Pencil marks are visible beneath the red, green, black, red, white and yellow paint. 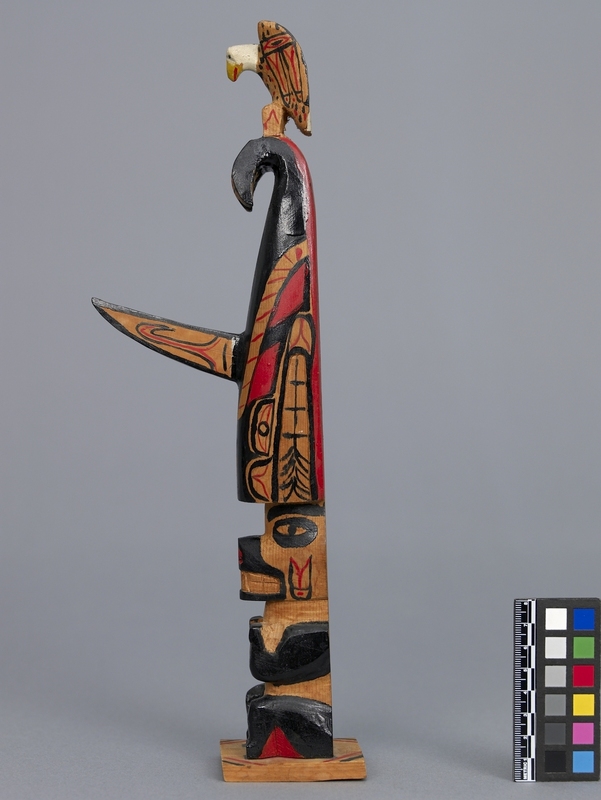 Represented, top to bottom, are a small eagle with white head and yellow beak perched atop the curled tail of a killer whale with narrow pointed dorsal fin diving down to touch the head of a seated bear with red front paws raised up in the air. Full credit line: "Wonderful memories of our 'Mom' Jacqueline S. McGregor and her 'Dad,' our 'Bompie,' Jack S. Skinner."